A big draw for getting kids in the garden for me is showing them where their food comes from. Kids are so far removed from the production of food these days that they have no idea where it orginates or what it takes to produce it. 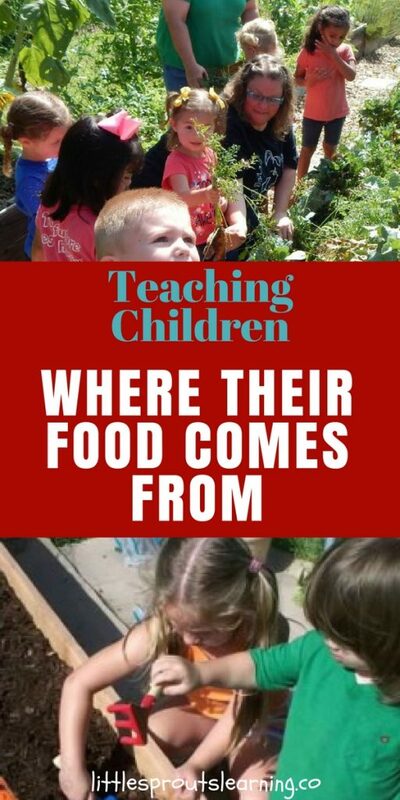 Teaching children where their food comes from is imperative. 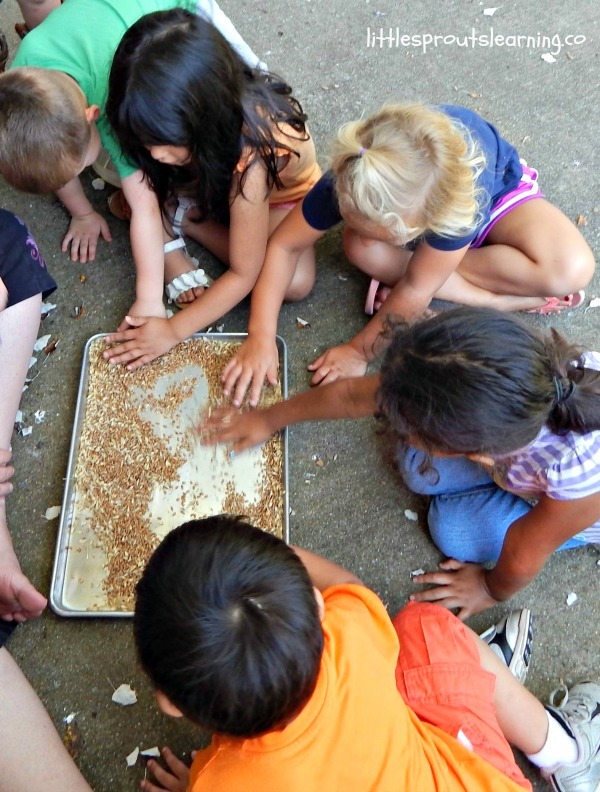 This year, we did a cool experiment with wheat to see how it’s grown and how it becomes bread. 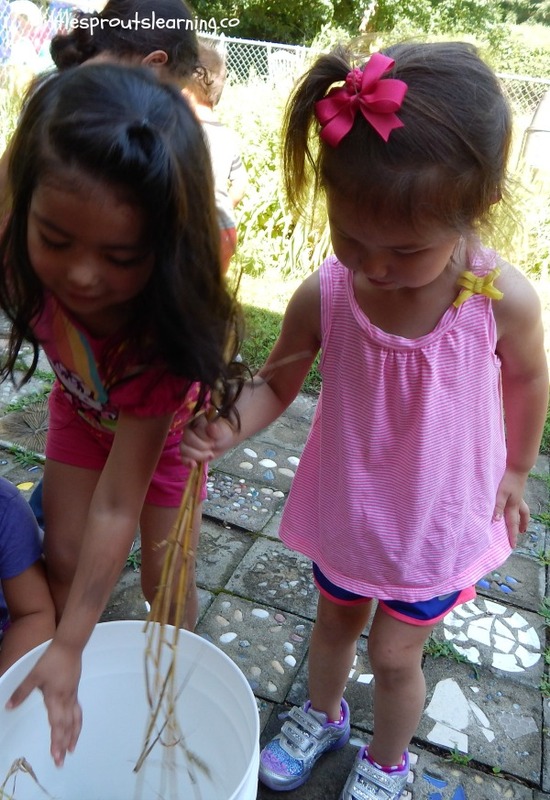 When I first began growing food with my kids and I asked them what they wanted to grow, I got answers like spaghetti and hamburgers. Kids today are so far removed from the process of growing and producing food, they have no idea where it comes from. I think that is a dangerous thing for our society. Producing food is a skill people need for many reasons. It helps you relate to the process and how much work it takes to produce food. It also gives people a skill to use in case our food system fails. This is a very real possibility with our current food system. Another important reason is the food supply is very unhealthy and unsafe. People who can produce their own food can grow healthier food. Growing your own food is an important skill to have. 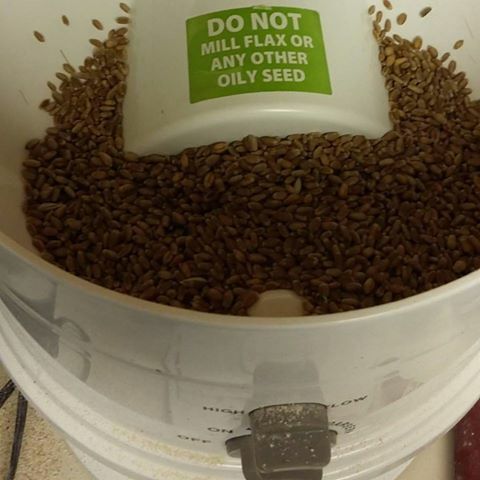 I make my own flour for my Little Sprouts by buying wheat berries from a local farm and grinding it in a wheat grinder. I have a Nutrimill. To ensure they have the most nutritious food possible. I make pancakes, muffins, cookies, and most of their other bread products here as well. Most of these foods are 100% whole wheat from freshly ground flour. 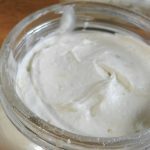 I do use some unbleached organic white flour in their pizza crust, some cookies, and I use it for pie crust and a few other things, but well over half of their bread products are made with flour I grind myself. I use store bought pasta, tortillas, crackers and some cereals. Click here to see my recipe for bread. Why do I go to all the trouble to make their food from scratch? Our food supply is full of GMOs, pesticides, herbicides, preservatives, and other chemicals. So much that it is literally killing us. 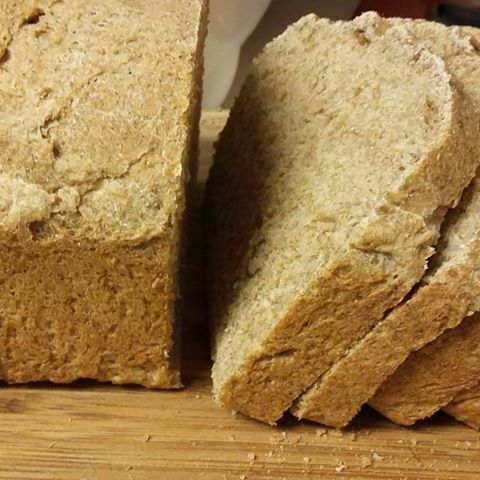 Click here to see why I don’t serve my kids store bought bread. Look into it and you will see how important the quality of food you feed your children really is. Click here to see a report about pesticides in our current food supply. Click here to see a report about chemicals added to our current food supply. Freshly ground flour loses 70% of its nutrients within 72 hours of grinding. So the flour we purchase at the store is rapidly becoming devoid of nutrients. 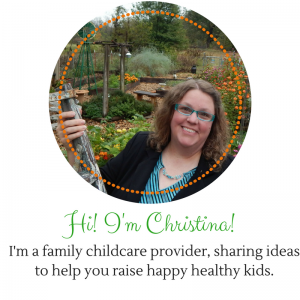 I want my kids to have all the good health they can, so I strive to give them what it takes to do that. One way you can keep your flour nutritious longer is to freeze it immediately when you buy it and keep it in the freezer until you need it. 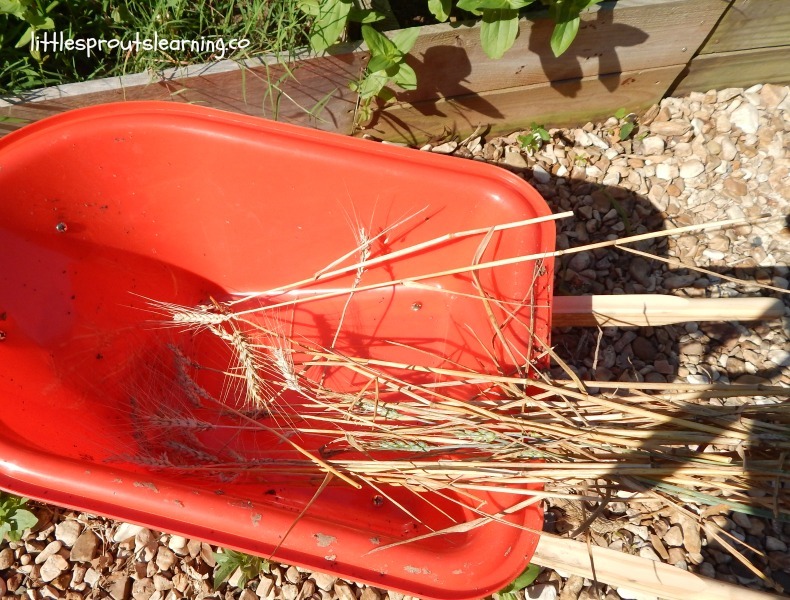 This year one of our experiments in the garden was to grow our own wheat. We planted some of the local wheat berries I buy for making flour and watched it grow. Wheat needs to be planted in Oklahoma by November 31st according to my cousin who farms wheat, so we made sure we did that. It grew all winter and was ready to harvest in early summer when the heads were golden brown and starting to bend down to the ground. I remember helping farm wheat as a kid, so I knew that part. We cut our heads of wheat off with scissors and beat them on the inside of a bucket until the seeds came out. This is called threshing and it was a ton of fun. Then we had to winnow the wheat or clean it of all the hulls and things that were in the seeds. 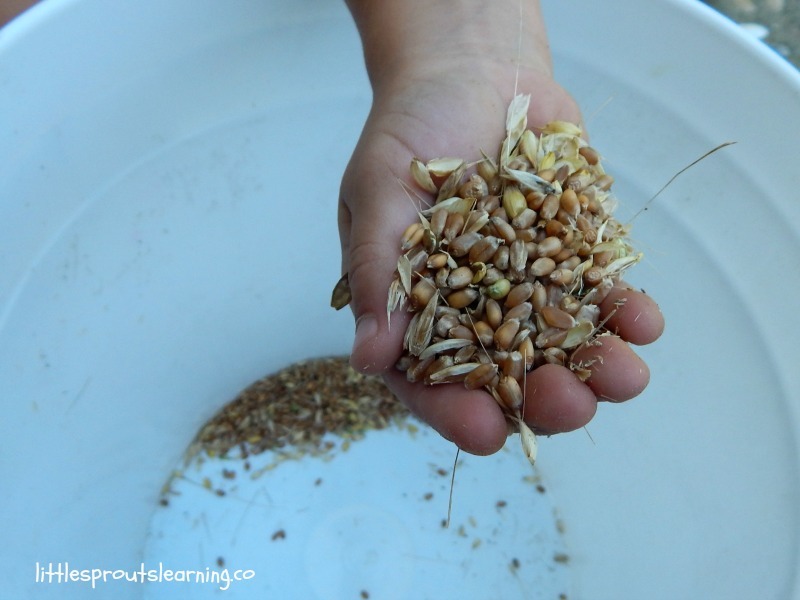 You can do this by laying your wheat out and blowing it or placing it front of a fan. The chaff blows out of the wheat and your berries are left. We got a few cups of berries from our little patch of wheat. The next thing we did was run them through the wheat grinder and make flour. 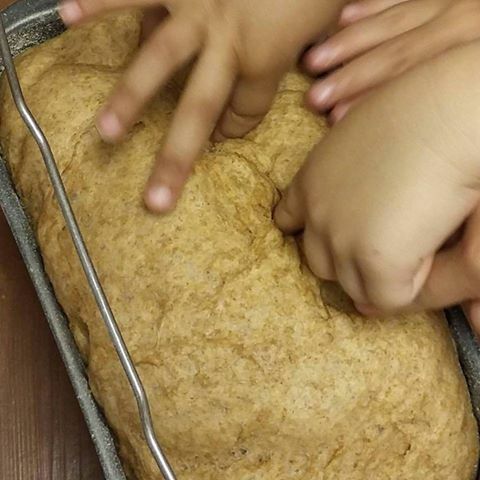 The kids were fascinated with the texture of the flour. It was a fun sensory experience. Making bread from wheat we grew. Next, we tossed the flour and the other bread ingredients in the bread maker pan and let the bread maker do all the work. When it was done, we punched it down and put it in a bread pan. After the second rise, we baked it and had it as a side dish with meatballs and veggies for lunch. The kids thought it was delicious and ate the whole loaf. 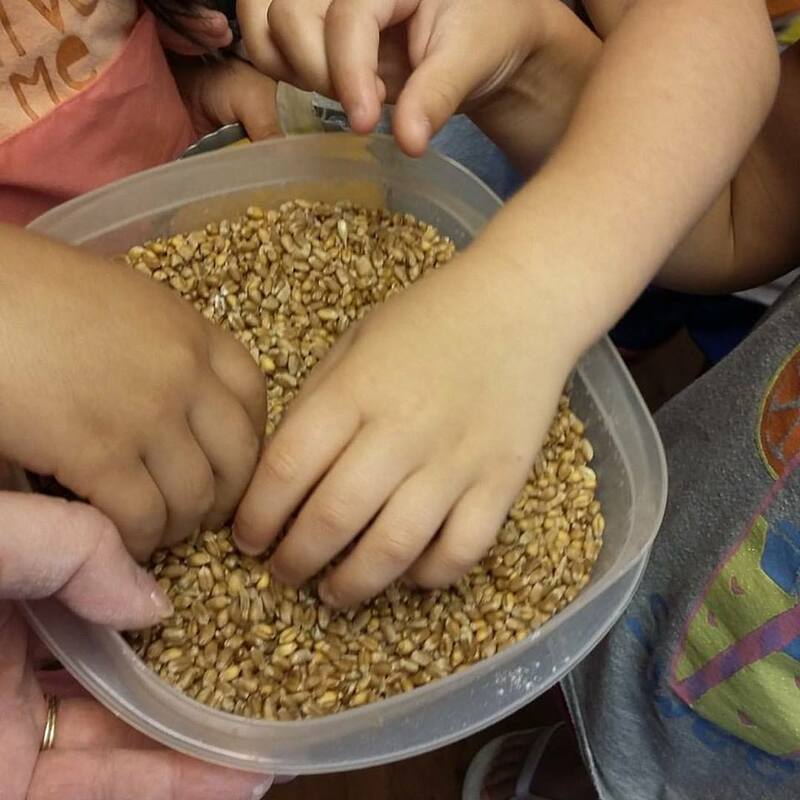 I loved how when we talked about the wheat berries and I asked the kids what we could do with them if we didn’t grind them into flour, they said, we could plant them. They knew they were seeds. 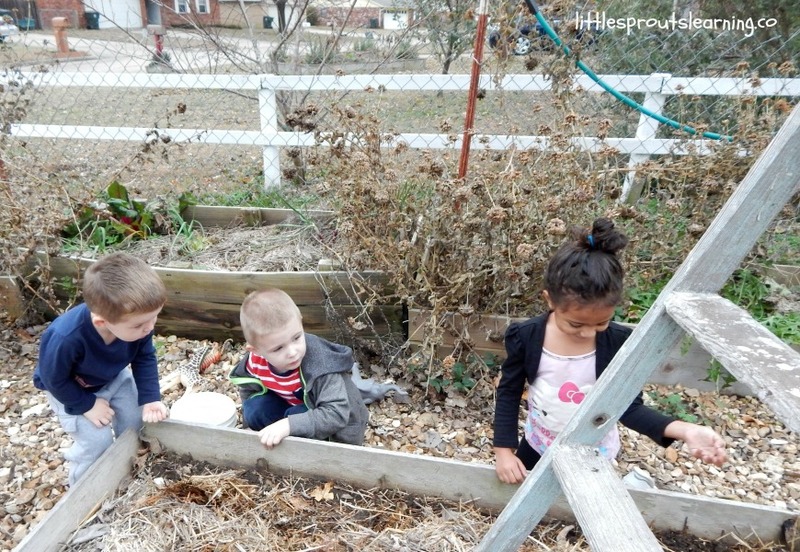 I love all the things they are learning in the garden. It’s an amazing place to teach so many things to your kids. 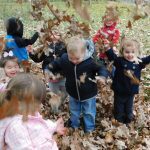 Click here to see more benefits of gardening with kids. 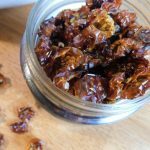 I’d love to hear what your kids are learning about the food supply; please comment with anything you are experimenting with. 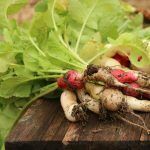 Need more help getting started in the garden? 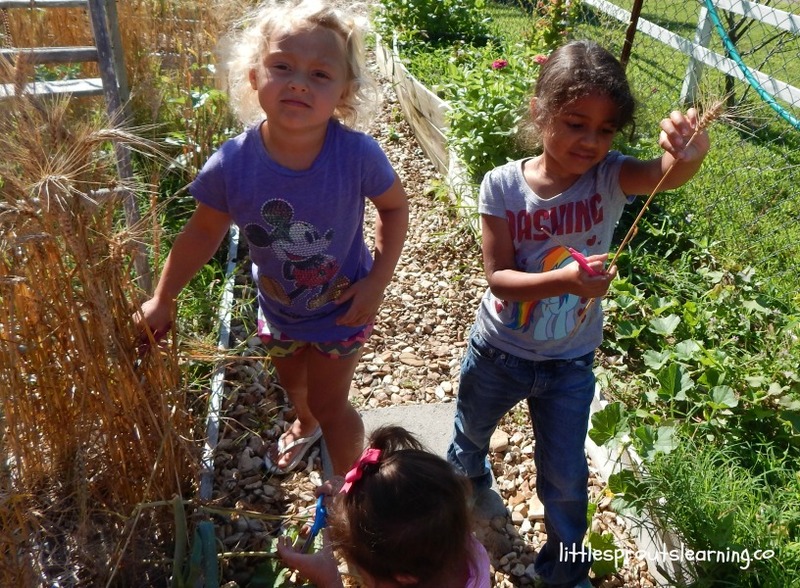 I’m obsessed with teaching anyone about growing food, but especially the kids! Great post! I adore this post Christina!! Also, what is your bread recipe?? Oh wow! I am super impressed that you grind your own flour! I make home made bread and pizza and bake from scratch, but I have never done things THAT from scratch! How awesome! Thank you. I love it. It’s great that you make homemade bread! Such a lovely article!! I LOVE what you do!! That’s so awesome. Thank you for sharing. Great post! It is such a valuable lesson. One that I am constantly teaching my own kids. They are involved in the garden and chicken keeping and this year my 9 year old took it upon himself to grow some corn. He did fairly well with it given how difficult corn can be sometimes. That’s so cool! I love that you have your kids involved. 🙂 thanks for checking out the post!